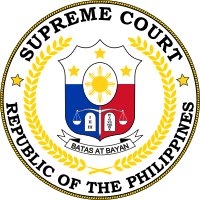 The Civil Service Commission of the Philippines (Filipino: Komisyon ng Serbisyo Sibil, abbreviated as CSC) is the Constitutional Commission of the Philippines with responsibility over the civil service. It is tasked with overseeing the integrity of government actions and processes. The commission was founded in 1900 through Act No. 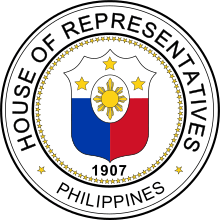 5 of the Philippine Commission and was made a bureau in 1905. It has 16 regional offices throughout the country. The other two Constitutional Commissions are the Commission on Elections and Commission on Audit. The 1987 Constitution staggered the terms of the members of the Constitutional Commissions. Of the first appointees, the Chairman would serve seven years (1st line), a Commissioner would serve five years (2nd line), and another Commissioner would serve three years (3rd line). Term refers to a fixed period, while tenure refers to the actual period that a person held office. 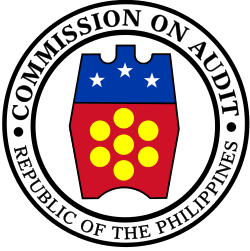 The names of the first Members of the CSC since 1987 were mentioned in Gaminde v. Commission on Audit. 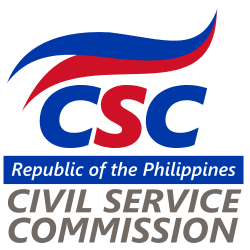 The Career Executive Service Board (CESB) was created as an attached agency of the Civil Service Commission and oversees the government's top management positions. The board administers the Career Executive Service Eligibility Examination that screens applicants for "career executive service", or CES, positions in government. It is made under "Batas pampubliko number 5"
↑ Passed September 19, 1900. Philippines. Civil Service Board (1906). 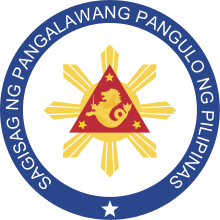 Annual Report of the Philippine Civil Service Board to the Civil Governor of the Philippine Islands, Issue 5. Contributors United States. 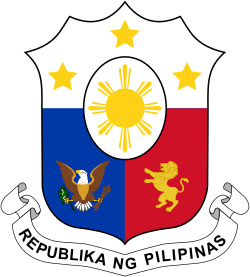 Philippine Commission (1900-1916), United States. Bureau of Insular Affairs. Bureau of Public Printing. ISBN 9715501680. Retrieved 24 April 2014.